The 2018 Billboard Music Awards have added more icons to perform this year! Salt-N-Pepa is set to perform with En Vogue for a special performance celebrating the 30th anniversary of becoming the first female rap artists to hit the top 40 on the Billboard Hot 100. 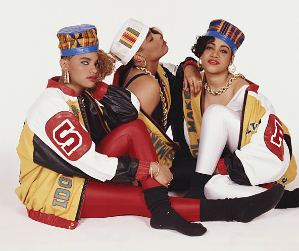 Salt-N-Pepa and DJ Spinderella's iconic track “Push It" became the first rap song by a female act to hit the top 40 of the Hot 100 -- eventually making it all the way to No. 19. Janet Jackson is also set to perform at the 2018 Billboard Music Awards for her first televised performance in 9 years. The show will air live May 20 on NBC at 8 p.m. ET/5 p.m. PT.